This course meets Florida 1-hour requirements in microbiology, serology/immunology, clinical chemistry, hematology, immunohematology and blood bank/donor processing, and administration/supervision. For ASCP, this course provides 1.5 hours in microbiology, 1 hour in serology/immunology, 2 hours in clinical chemistry, 2 hours in hematology, 1.5 hours in immunohematology and blood bank/donor processing, and 2 hours in administration/supervision. 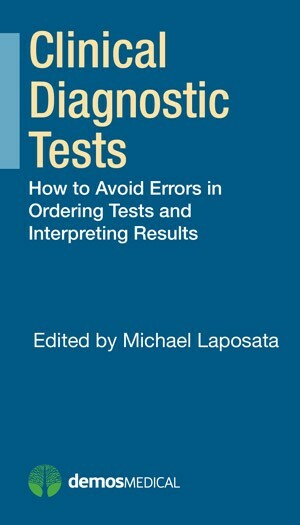 Given the current emphasis on diagnostic errors in health care, Clinical Diagnostic Tests: How to Avoid Errors in Ordering Tests and Interpreting Results offers up-to-date practical information and guidance to avoid common errors seen in diagnostic testing today. The topic is of great importance to the modern clinical laboratory. Written by expert educators in laboratory medicine and designed for practitioners in all areas of clinical medicine, including clinical laboratory technologists/administrators, this text addresses errors in test ordering, the testing process, test interpretation, as well as current controversies in the following seven areas of laboratory practice: transfusion medicine, coagulation disorders, hematology, immunology, clinical chemistry, microbiology, and laboratory management. Presents bulleted "standards of care"